Sri Lanka will take on Pakistan in their last Group B fixture of the ongoing Champions Trophy at Sophia Gardens, Cardiff on 12 June. Both the teams would be high on confidence as they come with their respective victories over in the last matches. • Sri Lanka have won seven of their last 11 ODI matches played against Pakistan; including a 165 run victory in their most recent encounter (26 July 2015). • Pakistan hold the upper hand in Champions Trophy encounters with Sri Lanka (W2, L1); they secured a 4 wicket win last time out in 2006. • Both sides go into this match knowing that a win will secure them a place in the semi-finals, defeat will send them home. • Sri Lanka have lost all three ODI matches they've been involved in at this venue in Cardiff; Pakistan hold a record of one win and one defeat. • Pakistan come into this match having secured three wins in their last four ODI outings (L1); losing four on the trot immediately before this run. • Having previously lost six on the bounce, Sri Lanka have now won two of their last three ODI matches (L1). • Sri Lanka successfully chased down 322 against India in their most recent outing; they had never successfully chased a higher target (also managed to chase 322 versus England in 2006). • Shoaib Malik is set to make his 250th ODI appearance in this match; he'll be the 10th man to record that many for Pakistan. 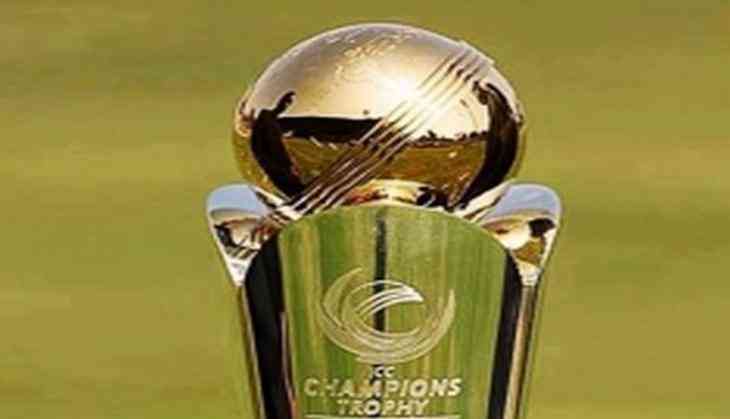 • In fact, Shoaib Malik is in line to make his 18th appearance in the Champions Trophy; only four players have featured in more games in the competition (Mahela Jayawardene, Kumar Sangakkara, Sanath Jayasuriya and Rahul Dravid). • Kusal Mendis needs 55 to reach 1,000 ODI runs; he comes into this game on the back of posting 89 in Sri Lanka's last game (against India). Pakistan: Azhar Ali, Fakhar Zaman, Babar Azam, Mohammad Hafeez, Shoaib Malik, Sarfraz Ahmed(w/c), Imad Wasim, Shadab Khan, Mohammad Amir, Junaid Khan, Hasan Ali, Haris Sohail, Wahab Riaz, Fahim Ashraf, Ahmed Shehzad, Rumman Raees.